Barry Mobberley's photo of Barry Randall, who had the Macarthur car between Doug's time with it and the Gibsons. As it accelerates out of MG Corner and towards The Copse, the monocoque wheels are again evident along with the nice smooth lines of the car. 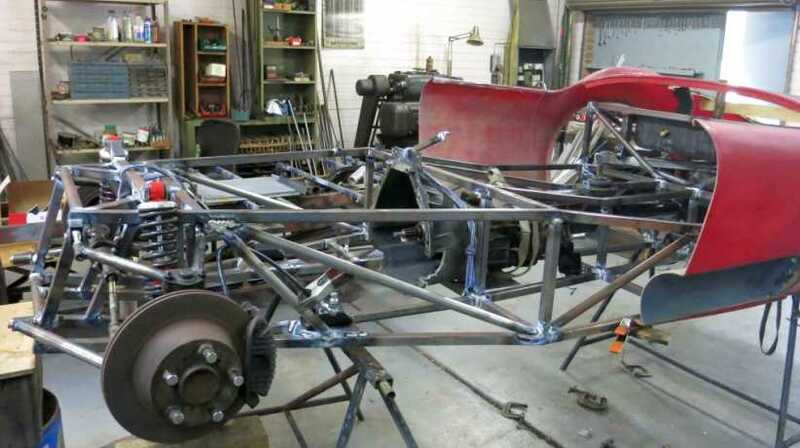 Under the skin there is more, of course, with the central monocoque chassis section, tubular frames front and rear, fabricated uprights and so on. Thanks to Mark Bisset for bringing this pic to the fore. The new car, with the replica 300S body still to be delivered by Les Puklowski, is really getting his attention now. 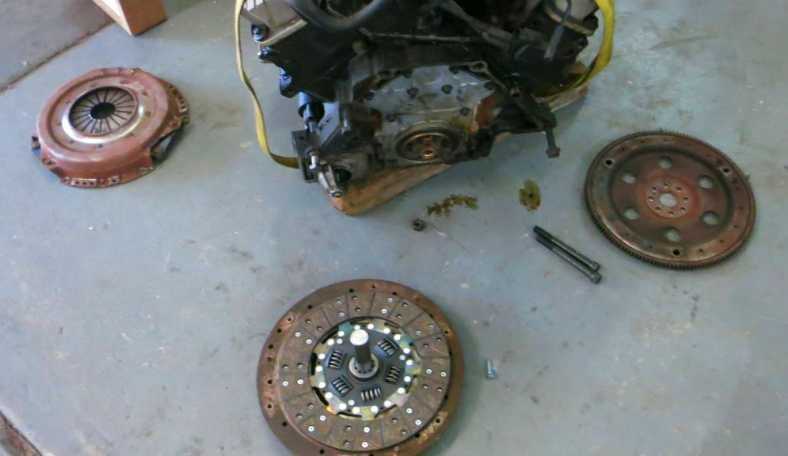 Bob was concerned that he'd bought a manual gearbox to fit behind the Commodore V6 engine and didn't have a flywheel and clutch and I told him I'd seek one out for him. 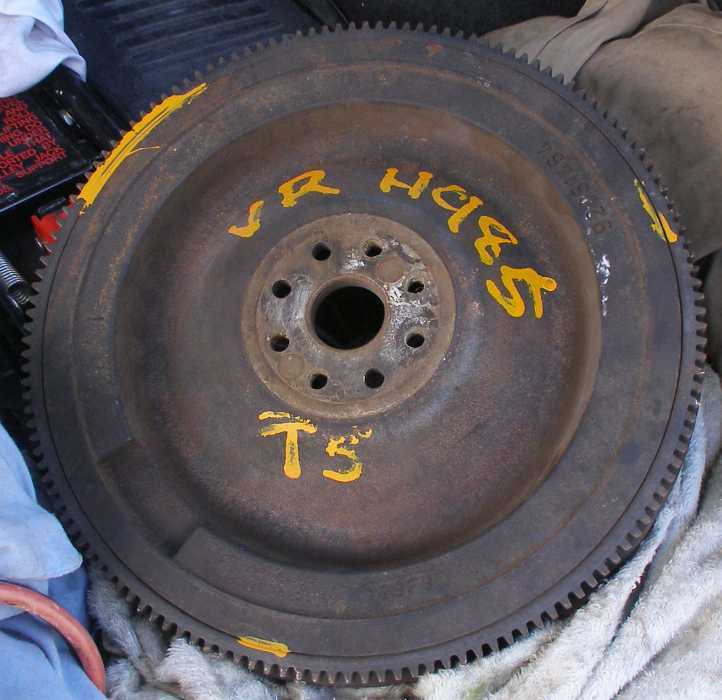 On Friday I got him a flywheel and pressure plate from a Toowoomba wrecker which specialises in Holdens and Falcons, the price was quite reasonable, there was no clutch plate but they're not expensive apparently. I had been led to believe there was a lot of differences in these, but essentially this one will fit from the VP right on through. The car the engine came from was a VS2. As can be seen, it's for the Borg-Warner T5 box, which I'm sure is the one Bob previously purchased (from a VP model). 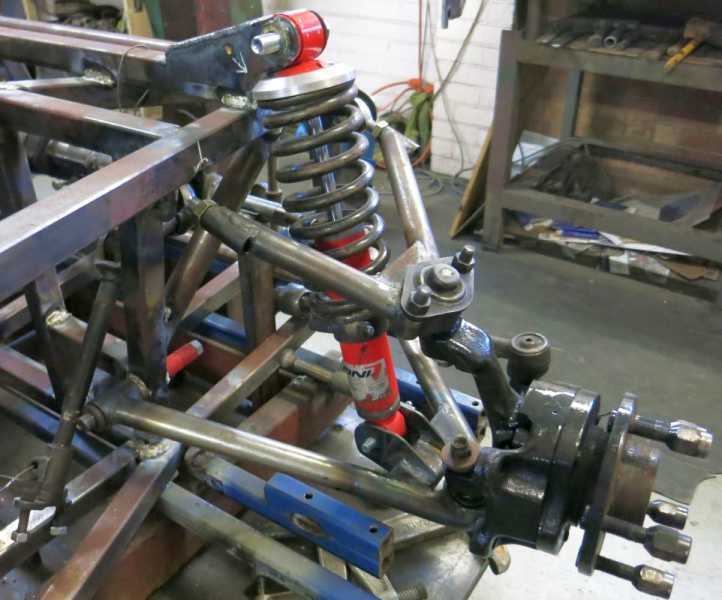 He tells me the frame is coming along well with the front suspension more or less made up and the rear coming together, including the diff mounts. 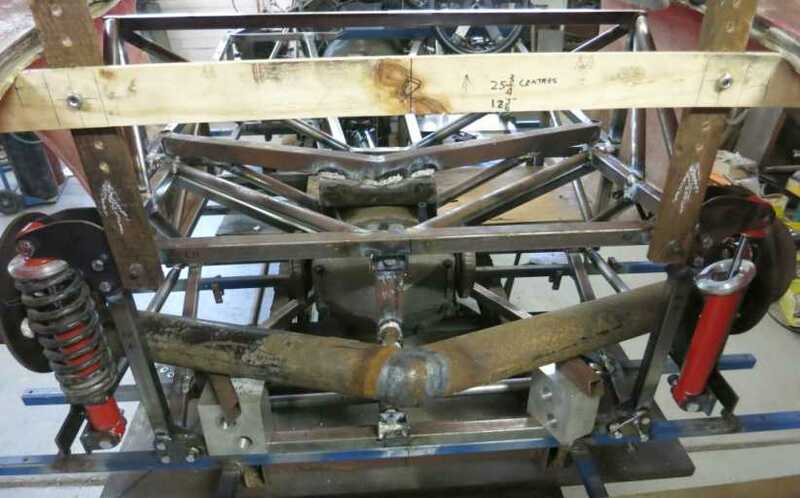 The de Dion tube is still to be made. Edited by Ray Bell, 23 February 2019 - 12:17. 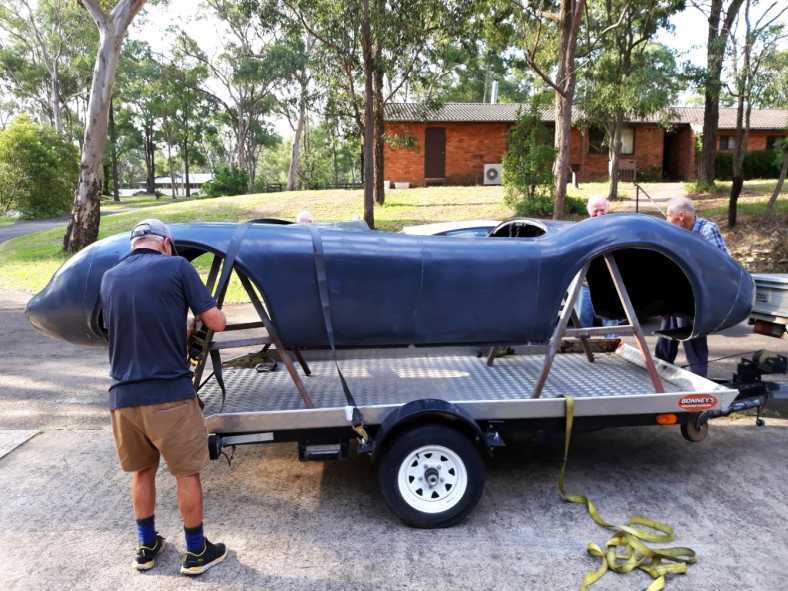 The new car, with the replica 300S body still to be delivered by Lew Puklowski, is really getting his attention now. 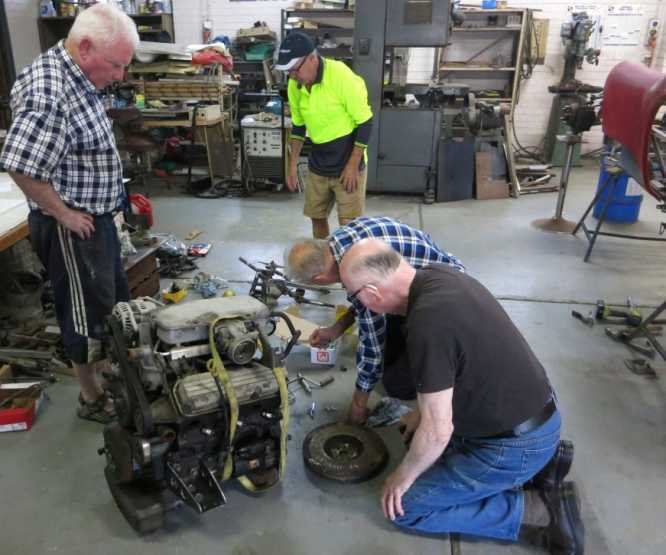 Bob was concerned that he'd bought a manual gearbox to fit behind the Commodore V6 engine and didn't have a flywheel and clutch and I told him I'd seek one out for him. There is 3 distinct engines in those models. VN1 is a front drive Buick engine with the thermostat at the back!!. VN2 and VP are very similar. VR is simply an improved sub model in those. 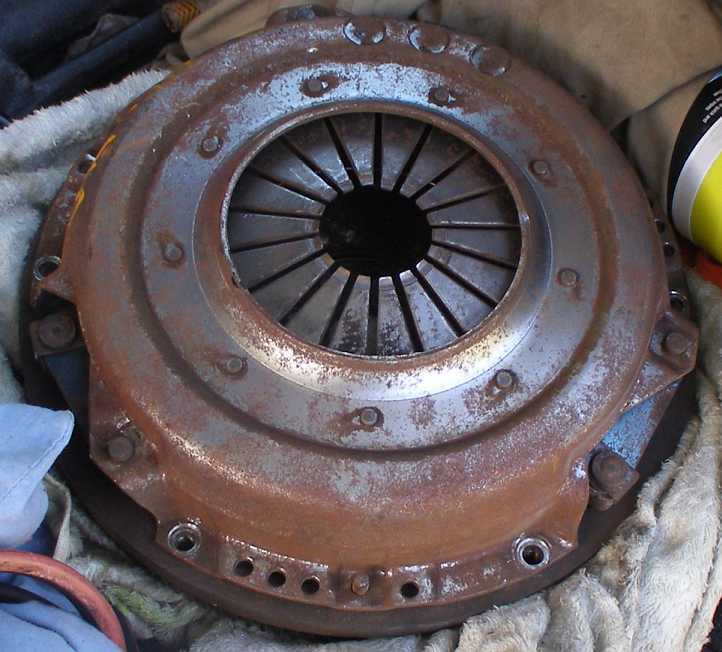 VS ecotech use a rubber damped flywheel like an LS Chev does. Bad news though you can now buy decent aftermarket steel ones. The one good thing OEM they all used the same computer 6 & 8. I have done an engine swap in a couple of VRs and what a mongrel job! And wrecked a manual VP which was a lot easier. Simply sliced through all the wiring with an angle grinder! The car was scrap. Though removing all the pedal set was a major job as well. Yet a Falcon is a 20 min job. Word of warning as well. The most over lubricated part on those engines fail regularly, the oil pump so while the engine is out have a good look at it and replace as nesecary. And probably the timing chain while you are there. I do have a manual T5 bellhousing if required from a VP. The dual-mass flywheels are another story. Dual mass flywheels are an invention of Satan, inflicted on us by a superior being who wants us all to drive automatics. VS defenitly were the first with them,, as well as the Getrag Have been through this trying to supply parts for conversions. The theory of dual mass flywheels is excellent. Dampen the crank both ends, autos do it with the converter. BUT the practice is far less satisfactory. And when worked hard they shake worse!! And while I think of it VS utes went to around 2000. Yet I have serviced VT manuals with T5. And no idea on the flywheel. Richard Fleming at Symmons in his BN7. Oh no, not the infamous Silvers Nightclub in Hobart! That didn't end well! Couldn't find it when I was in Hobart the week before Xmas Geoff! It was around in the mid 1970's Mark, also sponsored our Lancer rally car in 1977. The owner reputedly tried to blow it up to collect the insurance money so long gone!! 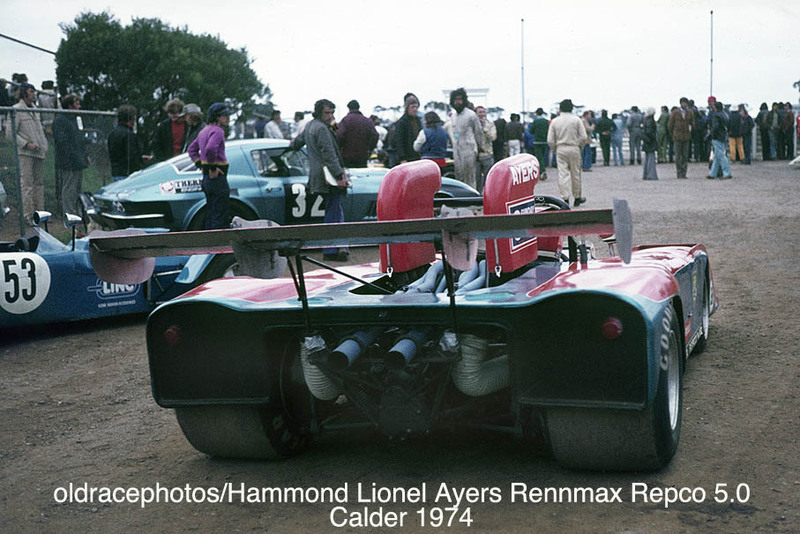 The sponsorship of the Rennmax fits in with the time it operated. His whole family, the three girls and their husbands and probably the grandchildren are flying down with him to be present when he receives the Phil Irving award from the CAMS. My congratulations to him, and to them all for backing him up as this tribute to his life behind the scenes recognises his skills, technical excellence, ingenuity and efforts. 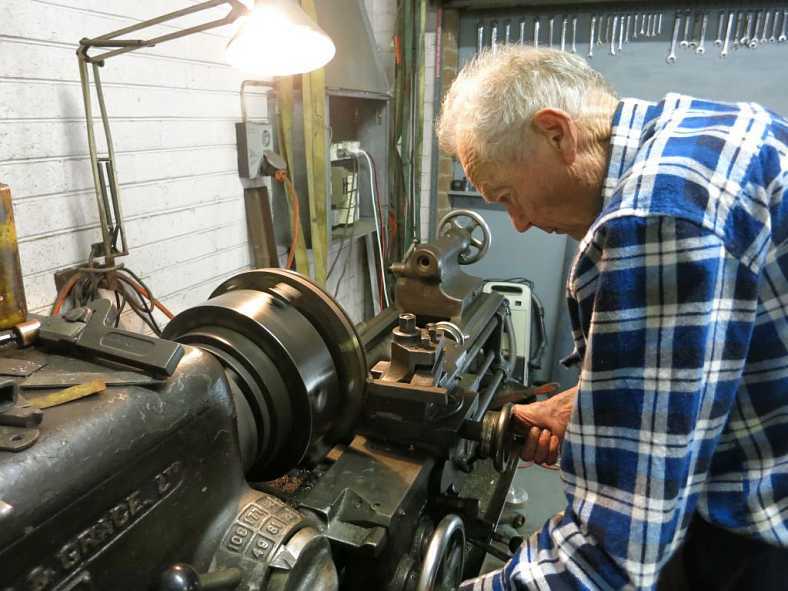 No doubt his mind will still be back at the workshop working out details of the rear suspension for the 300S lookalike, but that's the kind of bloke he is. He tells me it's coming on 'at a million miles an hour' and he sounds pretty excited about it. In the meantime, his computer guru down the South Coast, who recently completed the Corolla-powered rear-engined Clubman, still has the BMW-powered car, but he's taken another step in buying one of the BN10 coupes. This one had been sold to someone who never completed it, and on their demise it was offered for sale by the family. The ex-Macarthur/Randall BN6 alongside the ex-Ayers BN6, with bodywork difference plainly evident during the late Gibson era. Sitting in the pits at Winton, the 'home circuit' for Paul and Grant, the effort to return some downforce to the front guards is obvious on the 5-litre car. Edited by Ray Bell, 23 February 2019 - 12:15. The first priority, Bob's strict diet, was looked after. His speech, the thing that was stressing him most over receiving the award, went very well and various people actually said he'd done it right. That point being reached, Bob was able to relax and enjoy it all. Though he'd initially had some doubts about the whole thing, in the end he was glad that he'd been nominated, glad that he'd received the award and happy to be there. Sunday morning they were booked to fly out around 10:00am. His daughter, Robyn IIRC, got a text message at about 5:30am that the flight was cancelled. The girls got stuck into the airline from there and they finally flew home mid-afternoon. An airline schedule is a vague indication of when they may fly. Not enough bums on seats it seems is a good reason to cancel. Everytime I have flown [and not very often] the plane has been delayed and once cancelled leaving me sitting in the airport for 3 hours. Thank the Lord international ones seem to work too to schedule. My itinery going overseas had some tight turn arounds. 25 min in Doha was the time it took to get on the train to go across the airport!! Edited by Lee Nicolle, 27 February 2019 - 07:38. 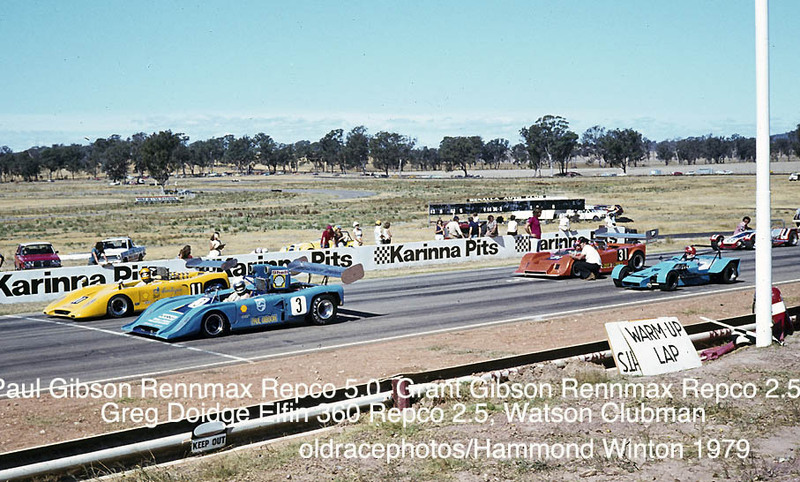 Adding to Mark's shot from Winton here they are on the grid in 1979. Winton looks so much tidier now. Grass instead of all that tussocky crap. And far more spectator areas with the walls down to Penrite. And that is without the new bit. 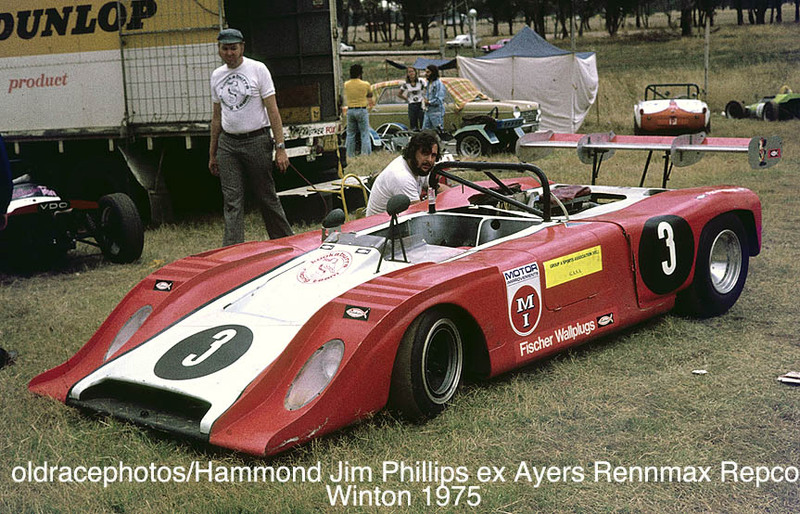 I was looking at the shot Mark Gibson took which Ray popped up and was wondering this morning if it may have been taken during the 1979 Winton Australian Tourist Trophy weekend- won by Paul carrying #3 according to Wiki with Grant 3rd in the smaller car. Your grid shot is surely on the same weekend Lindsay. 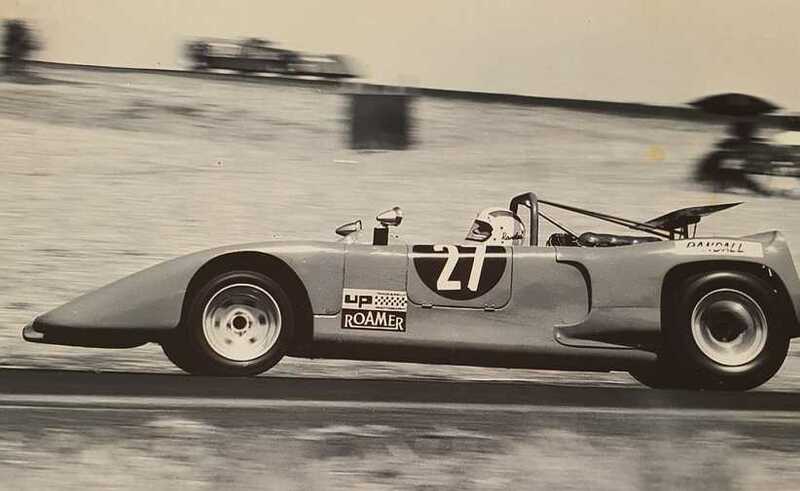 The red car in your shot Lindsay is probably Greg Doidge's Elfin 360 Repco. No sign on the grid of Stuart Kostera's Elfin MS7 2nd which you expect up front unless he had dramas. Was running my Vee that weekend so do recall the delight Hoot had in awarding Paul his garland and trophy- prestigious as it was/is. Edited by MarkBisset, 27 February 2019 - 12:06. 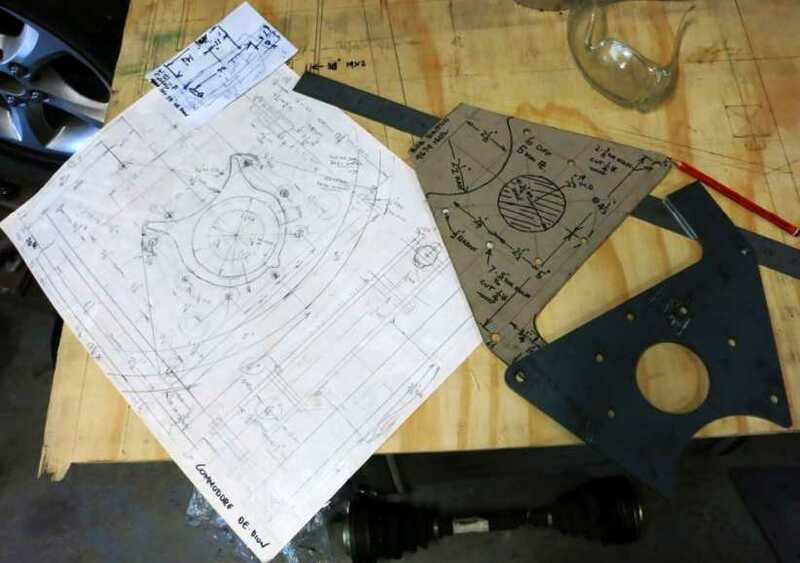 Rough drawing, proper drawing from the drawing board, a cardboard cutout and the plate cut to shape and with the holes also laser-cut. The jig produced to get the holes accurately cut. 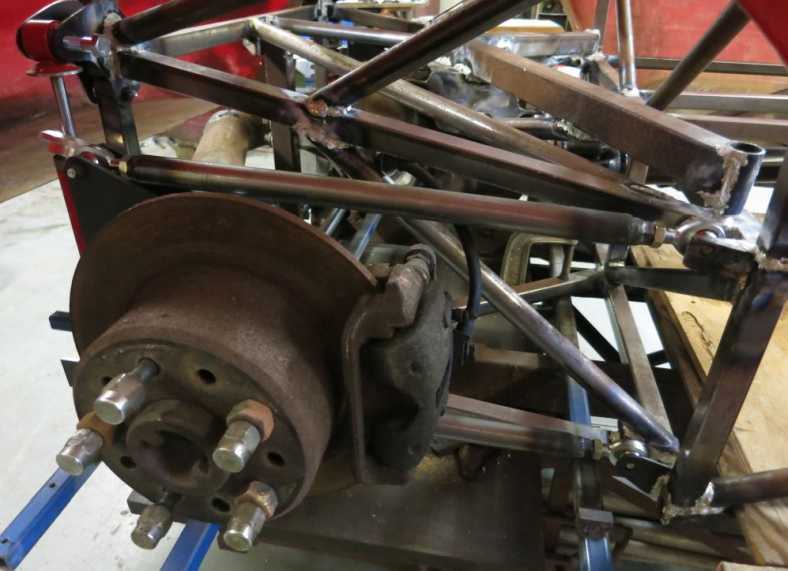 And so it's progressively transformed into a component for the car, a vital component in the rear end. 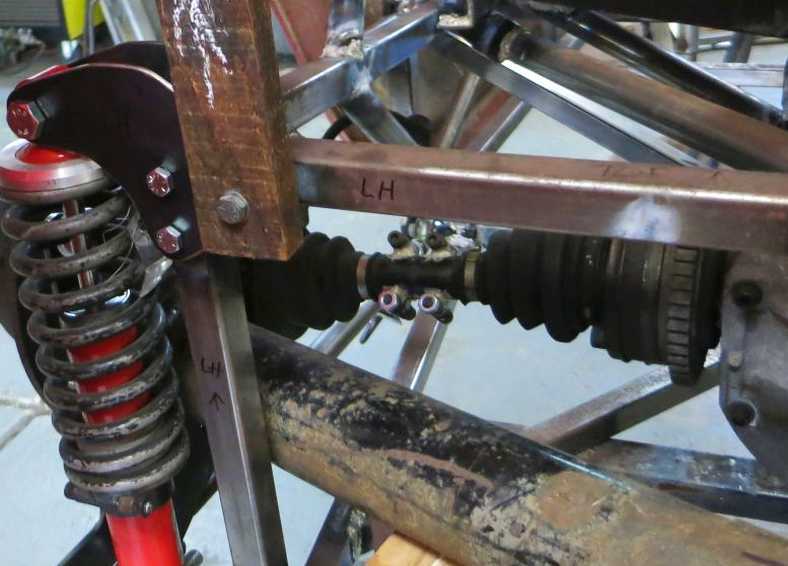 Note here that Bob has adapted the Commodore wheel bearing setup to Gemini ('70s Kadett to Europeans) uprights. Is this the car with the Commodore driveline? Should be a good thing - will it ever see a race track? Same goes for the Corolla - Clubman - these works of art should be raced. Really interesting post- love the nitty grItty of the engineering and chassis shots. 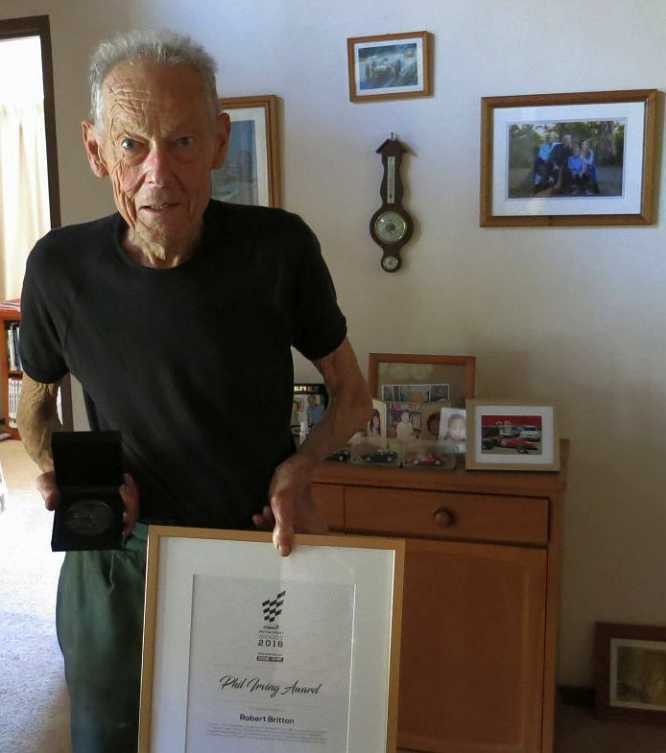 And a well merited award- I've Phil Irving's 'Owls Nest' on my list of pilgrimages in the next couple of weeks- I have the address in Warrandyte somewhere! One is the engine mount brackets, like pieces from a railway workshop, while there's not much character in the differential mountings. 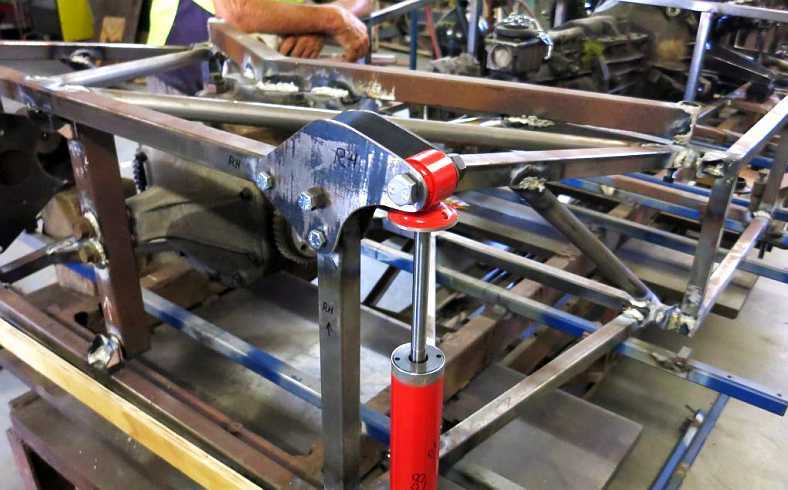 "I just want to get this done," he told me, "so there isn't time to make up tubular brackets like I normally do." The fact that most of it will be hidden under one of Les' beautiful fibreglass bodies counts for a bit too. 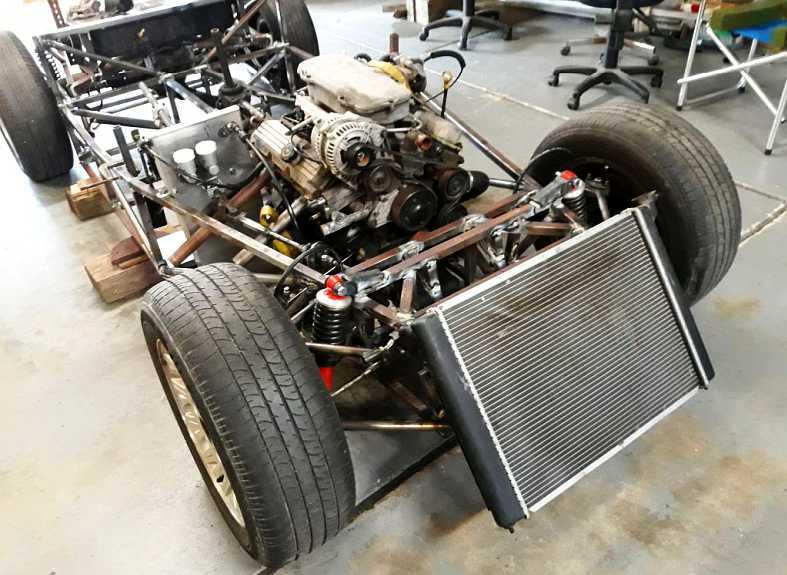 Bob's pulled the engine out and is just about ready to spend the two or three days it will take finishing off all the chassis welding. Will he get the flywheel and pressure plate into his hands before it becomes a holdup for him? 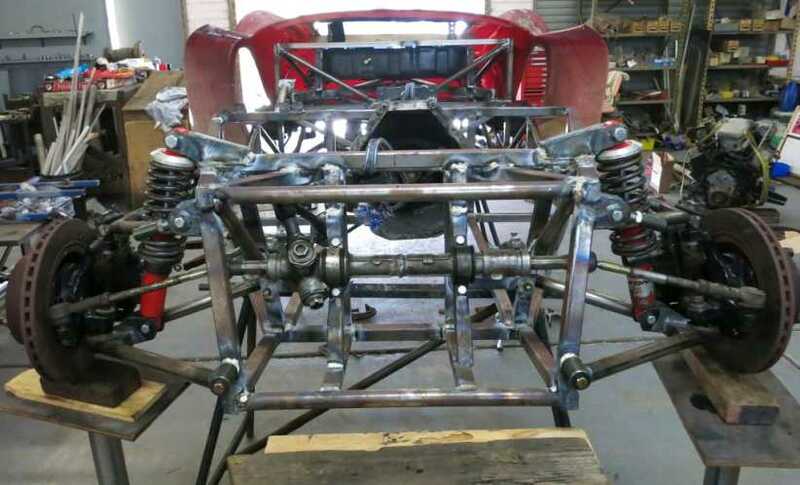 The rear suspension bay of the newest creation, still to have the halfshafts shortened but with the tail shaft fitted. Looking over the de Dion setup from the rear. 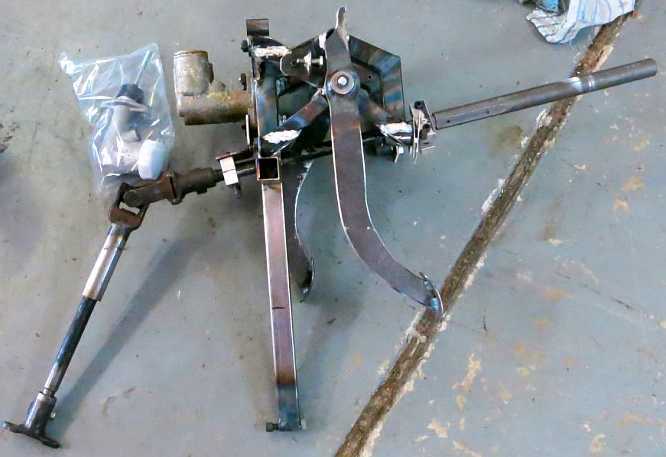 The rear suspension and brake, straight from the Commodore. And the engine from the Commodore, some ancillaries making it a very big lump, the simpler front suspension also shown. The pedal arrangement, unable to be finished because the flywheel and clutch aren't yet on hand. Britto is a top man, Ray. Many thanks for the continued detailed photo and tech gallery. His attention to detail is superb, in concept, design and implementation. Should be a good thing - will it ever see a race track? Bruce, the "small m maserati" is not intended for the track. In fact, it is not really intended to be driven much anywhere. 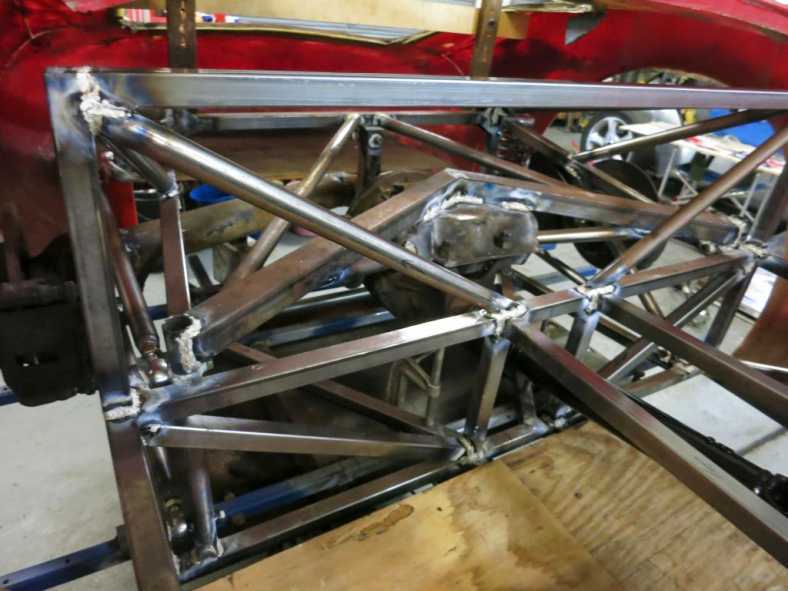 Bob freely admits he has taken some shortcuts with the build, just to get it finished. 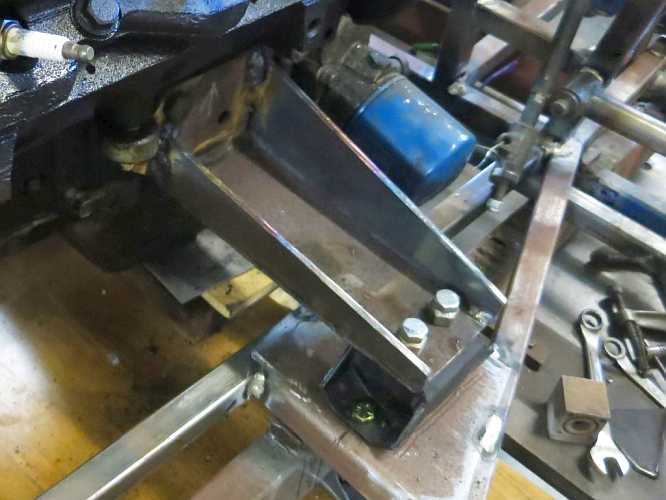 Were I to be a critic, I might have things to say about the lower front wishbone pickups or the construction of the rear chassis bay, but I won't. 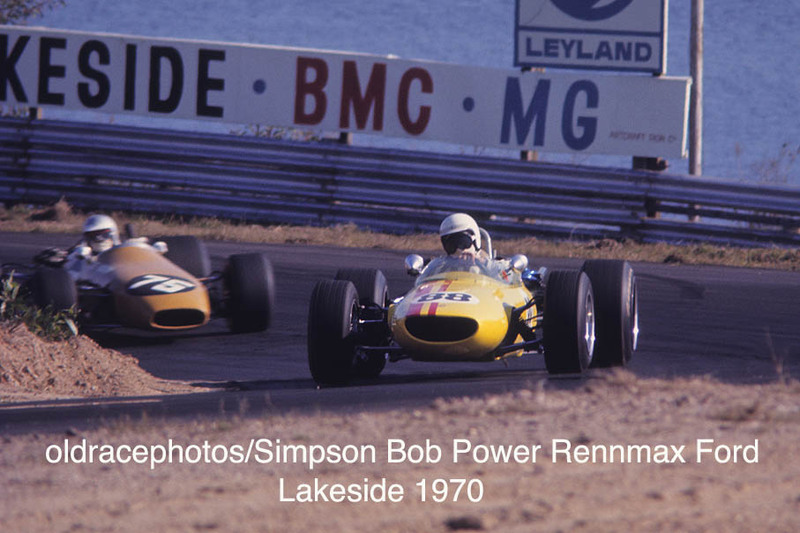 These cars are Bob Britton's way of keeping busy and keeping his mind occupied rather than building racing cars as in the Rennmax heyday. 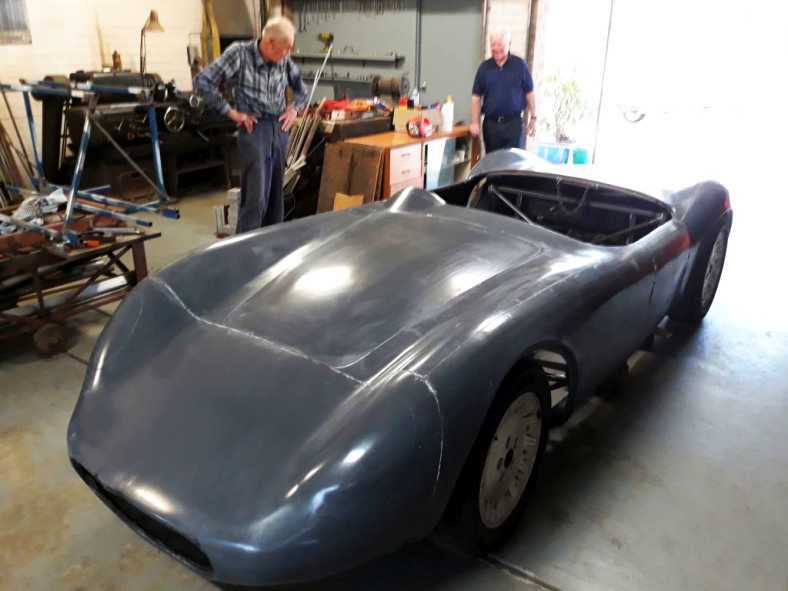 Some old guys keep occupied carving wooden toys in a "Men's shed", Bob Britton makes cars and bloody good luck to him. And long may he continue Pat....... a dead set legend of motorsport. Shot of Bob Power at Lakeside in 1970. Bob of course, is the father of Indy 500 winner Will. 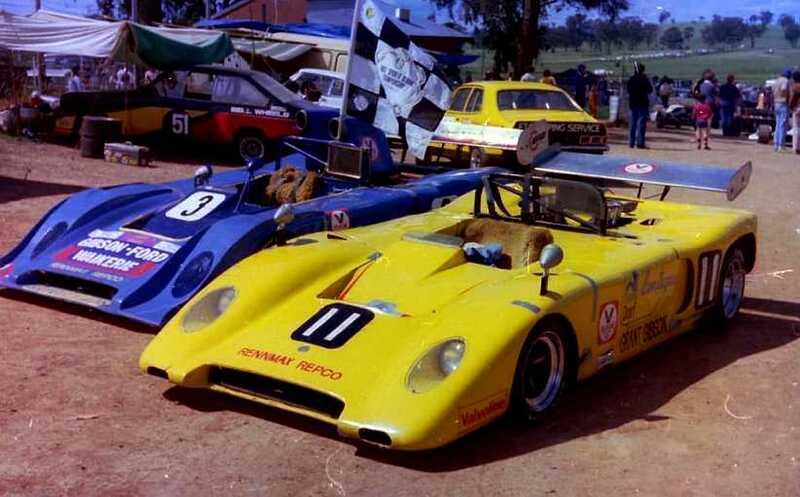 I'm wondering about the following car, it looks like a BT4. I'll check RCN shortly and report back. Bob, by the way, hasn't yet done all the welding on his new frame. 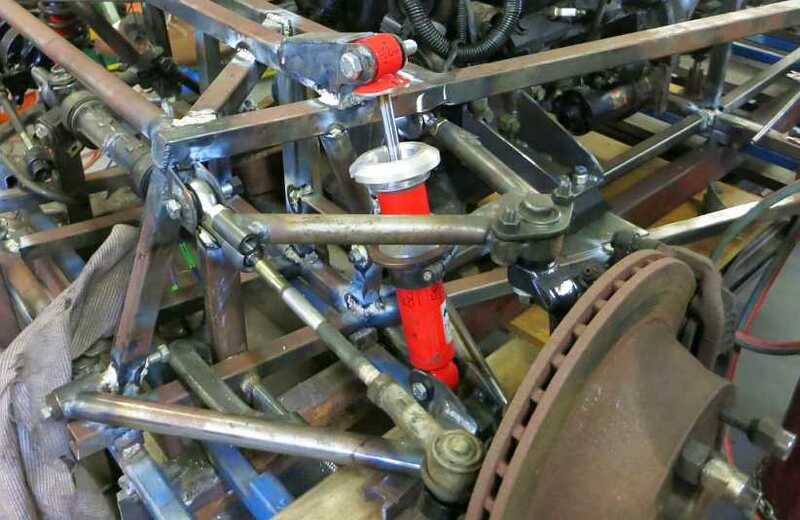 He has made further progress since the photos above, particularly in the pedal area. Bruce, a bloke such as yourself is in the box seat to go join with the lads at Britto's one Saturday, go and have a good look and meet a bunch of knowledgeable and friendly blokes. 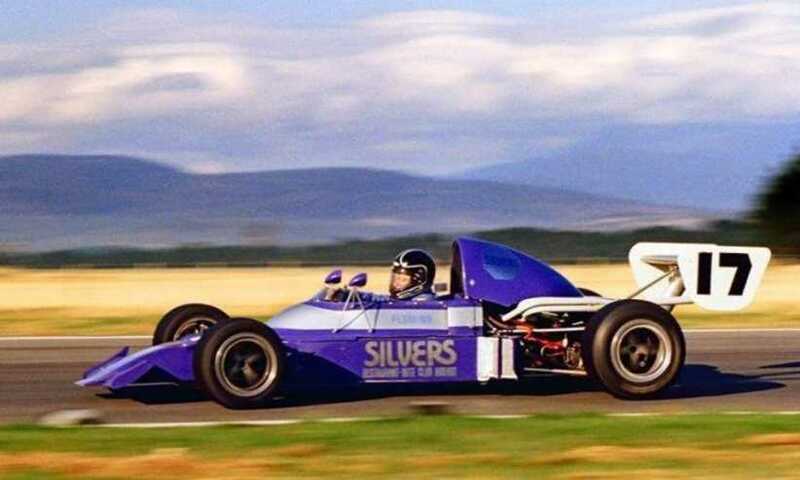 It looks a lot like a BT4, but there was no BT4 at Lakeside that year. But it does have Twinc power, so that's the end of BT4 talk anyway. The flywheel and clutch have now departed Timbumburi and will be in Sydney some time this week. 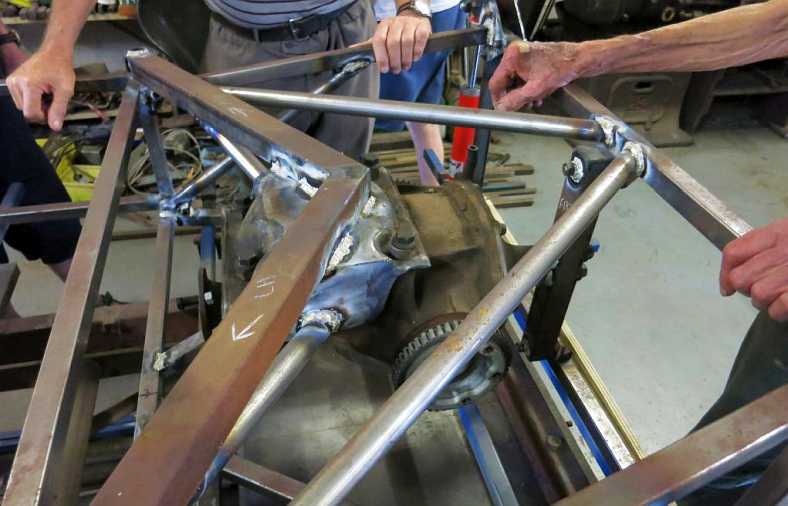 In the meantime, Bob has completed the welding of the chassis, it's out of the jig, I'm not sure what the next stage is - sandblast and paint or do more fitting-up of parts (including working out the clutch pedal ratios). With thanks to Marc Schagen for transporting it there. 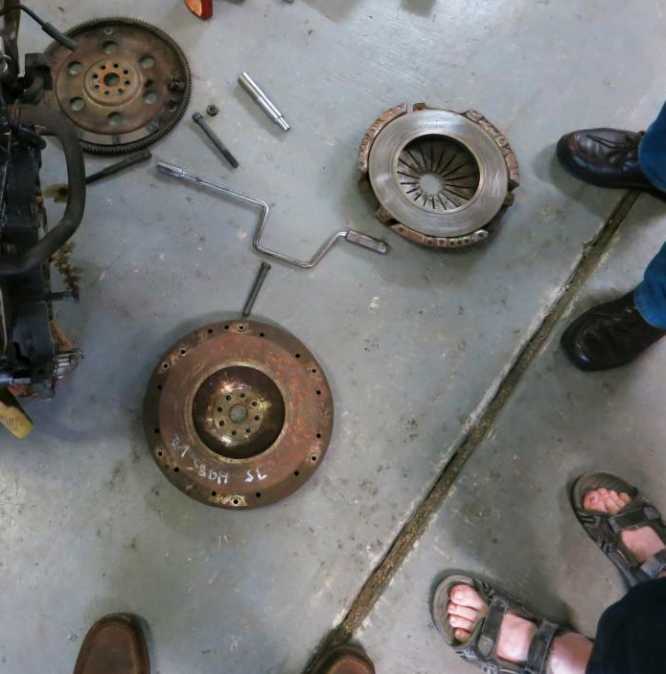 It wasn't a happy event, however, as there was some fouling between the flywheel and the starter motor housing. Nothing Bob couldn't solve, however. With plenty of intelligent and experienced people around it wasn't long before plans were being laid to fix this. Helping with Bob here is Ray Eldershaw. Measuring twice before cutting... the golden rule. Bob soon had it in the lathe, job done. 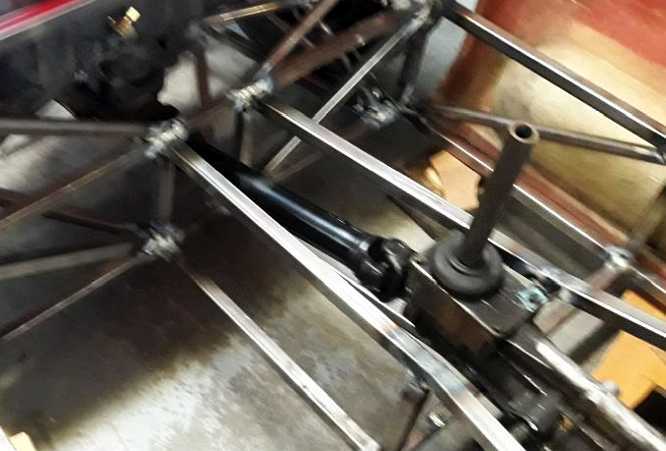 Over the last couple of weeks he's been working on the pedals and steering column mount. 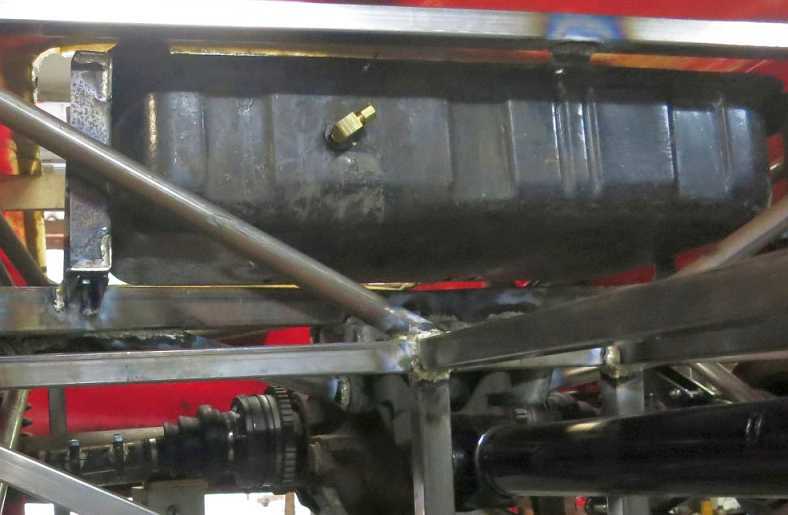 The acquisition of a Sprite fuel tank saw it go into place. 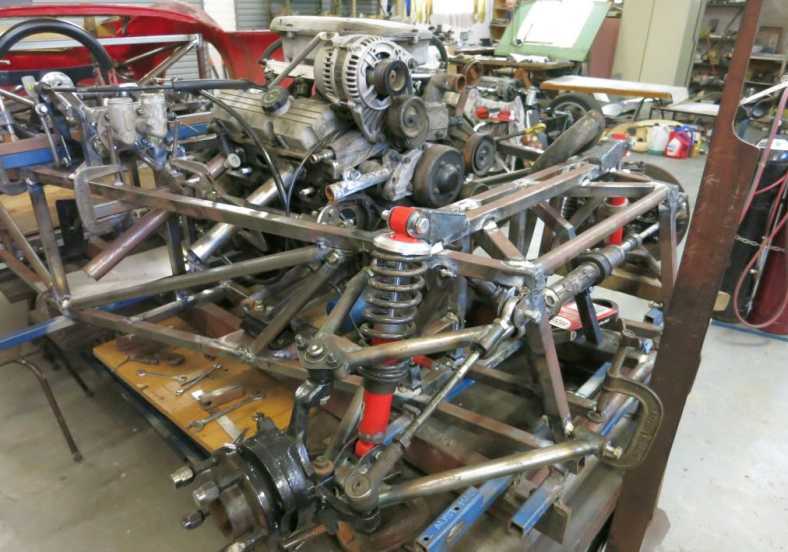 With the gearbox in place... and the front of the chassis is basically complete, the steering rack being a shortened Holden Gemini unit. 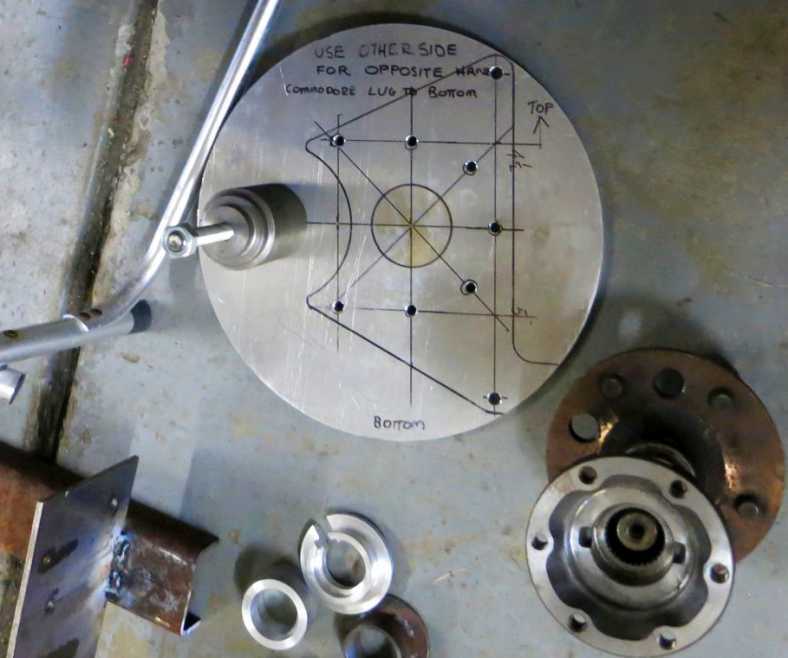 Bob's method of rejoining the half-shafts after shortening. 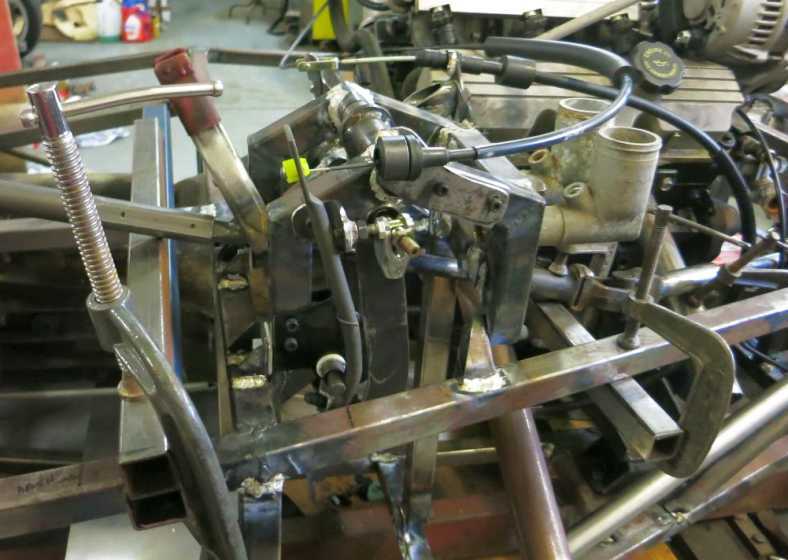 The cutaway in the bell housing is to make room for the starter motor which is on the opposite side on the donor engine. That might be beneficial for footwell space on the driver's side then. "..... Looks good, but lots of fettling to do. Bob is as happy as a pup with two tails, though he reckons he wont finish the project until Christmas." Edited by Ray Bell, 13 April 2019 - 21:49. He's not happy with the engine performance, however, as he says it's 'hunting', so there's more work to be done. He also reports that the exhaust is deafening! Tell him to be carefull filling the cooling system. Those things are supposed to bleed through the recovery bottle and often air lock. I have found the best way is leave it idling with the cap just sitting on the rad. Check every few min for levels. Then check it before you drive it next time cold. Bloody awful things though once everything is right they are generally trouble free. And if it loses coolant and very occasionaly after a few days starts on 5 it has a cracked head. Most of those Ecotechs have. Constant loss system from thereafter.